1750ml Weck Preserving Tulip Jar. Takes Large lid and seal. These jars are fabulous used as vases and also make a very attractive centrepiece filled with preserved fruit. 1750ml Weck Preserving Tulip Jars in a case of 4. 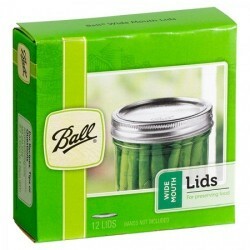 Takes Large lid and seal.These jars are fabul..
Case of 4 x 1 litre (exact capacity = 1062ml) Weck Preserving Deco Jar. Suits large lid and seal (o..
Medicago sativaAlfalfa is the most popular sprout with a delicious nutty flavour. It is highly..